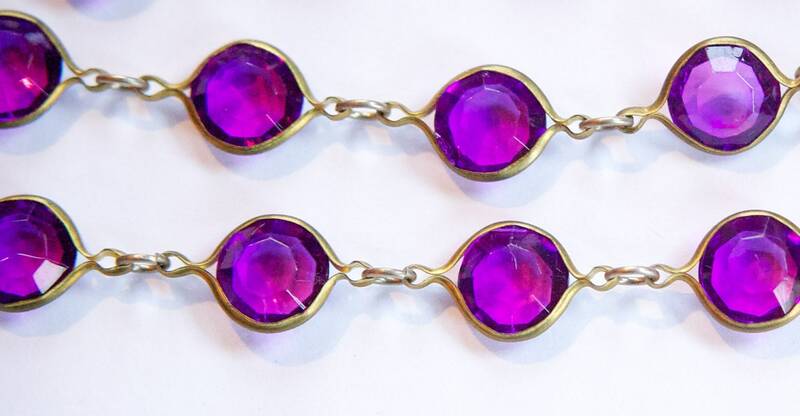 This is vintage acrylic channel set chain. The stones are faceted and the same on both sides. The brass has acquired a patina. Each stone measures about 10mm and is about 18mm long with the loops. There is a jump ring between each stone if you would like to take this apart and use the channels in other projects. You will receive 1 foot of chain. Each foot contains approximately 15 stones. Great beaded chains! Thanks for such wonderful products and fast shipping.